Samsung has started rolling out the latest security update to its Galaxy J7 (2016) smartphone. 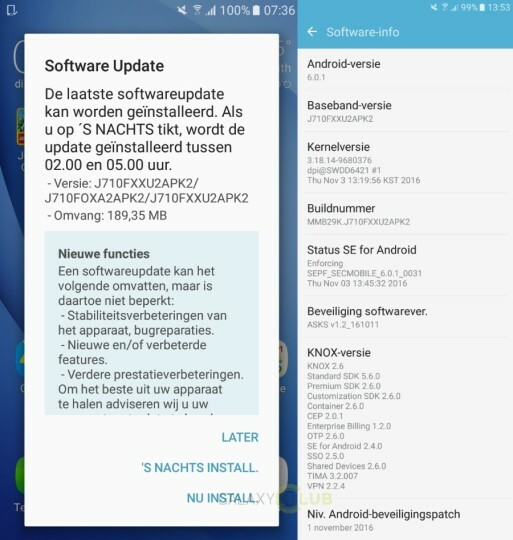 Weighing in at under 190MB and currently hitting units in Europe (the Netherlands to be specific), the update brings along Android security fixes for the month of November. Some performance and stability-related improvements as well as generic bug fixes are included as well. Given that the update - which arrives as firmware version XXU2APK2 - has just started rolling out, it may take time for the update notification to pop-up on your device's screen. Meanwhile, if you feel impatient, you can manually check the update by heading to your handset's Settings menu. Hi Dear sir and madam so please my mobile update new version & request please........ inform my mobile is hang very slow problem. All of request.